We are a sociable group who like and want to understand more about wine and perhaps fortified wines and gins. A theme is generally selected by group members in advance and over the lastyear has included Rioja, Beyond Prosecco, Old and New World Wines, Unusual grape varieties Regional Italian Wines and more. Over the first year our meetings have developed into a more formal ‘Wine Tasting’ facilitated by Luisa, a professional wine educator, another member of the group or an external facilitator followed by a social evening with food prepared by the host (costs recoverable), usually the member in whose house we are meeting. 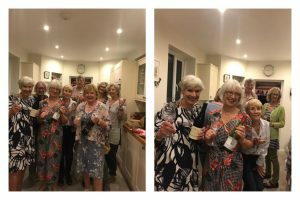 Sometimes we have a ‘bring a bottle’ where members are invited to bring a bottle of wine which they have researched in respect of its provenance and present to the group. We have also planned visits to a local wine bar and in the future to public wine events. All this costs money, of course. Our intention is to be modest aiming at a cost/meeting of between £10-15 (payable on the night) to include 5/6 wines for tasting plus 2 bottles for drinking with food. ☐ Where : Generally in a Group member’s house, at a public venue-wine bar or vintners. ☐ Number of places per session: Generally in a Group member’s house-at a public venue-wine bar or vintners. ☐ Costs : All costs are shared between attending members and since these are incurred in advance it is important that members commit to attending regularly. Any surplus goes tosupport a Summer/Yuletide Event. The Group explored the wines of the Loire and Burgundy and learnt that the rock used to build many of the gorgeous Loire castles, is also used to build the cellars where the wines from the region are left to mature. The group tasted some superb wines, both white and red, and uncovered the true taste of Chardonnay and Pinot Noir, as it is meant to be in Burgundy, lean and elegant and truly stylish. An experience that the many group members are keen to repeat, they said! Santé. Wines of Languedoc – to get bang for your buck look to the wines of this area of France. Our first restaurant outing! 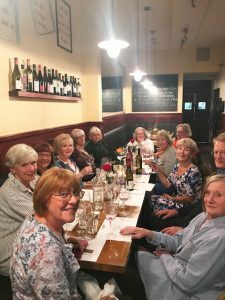 The group enjoyed a tasting of unusual wines matched with generously portioned tapas at Muswell Hill’s restaurant Connubio. Many also purchased bottles of their favourite wine afterwards, as the restaurant also sells wine at retail prices. What a great, convivial evening! The last of the summer wine, with wines from Greece, Italy, Spain and Great Britain for the staycationers. 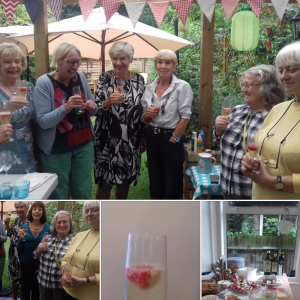 Despite the rain, a great time was had by one and all at the Wine Appreciation Group’s summer party : all members brought a wine to taste and share. Tired of Pinot Grigio, Chardonnay, Sauvignon Blanc? At our July meeting we explored some unusual and interesting varieties from around the world. 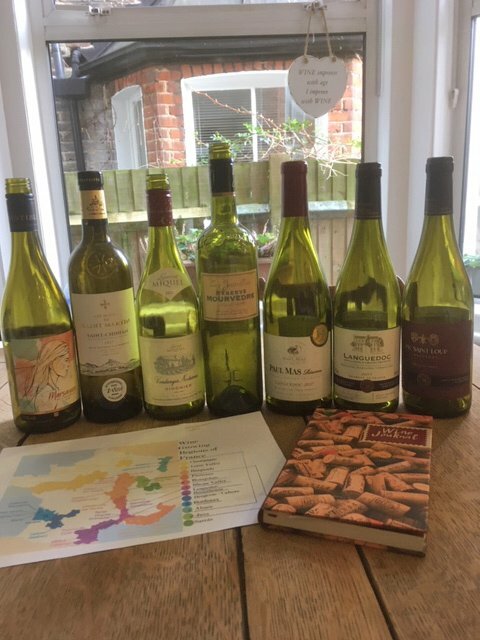 We recalled the semi-sweet white German wines of our youth and tasted some of those, both red and white, available in 2018 at a range of prices. The general feeling that quality and value were still questionable. Certainly nothing spectacular. Great fun anyway. The theme was French wine discoveries, much enjoyed by one and all! 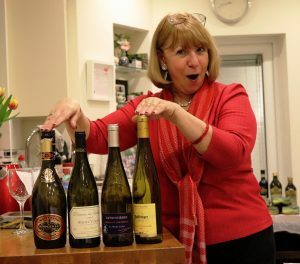 Having established our ‘ground rules’ under the guidance of Luisa, a member of our group and professional ‘Wine Taster’, we went on to taste 4 wines, 2 white and 2 red from different regions of Italy. Luisa’s expertise and passion for wine is invaluable and the following discussion wide ranging, about aromas, colours, type of grape, what to eat with the different wines. All this was followed by nibbles prepared by Kathy in whose house we held our meeting and more discussion.